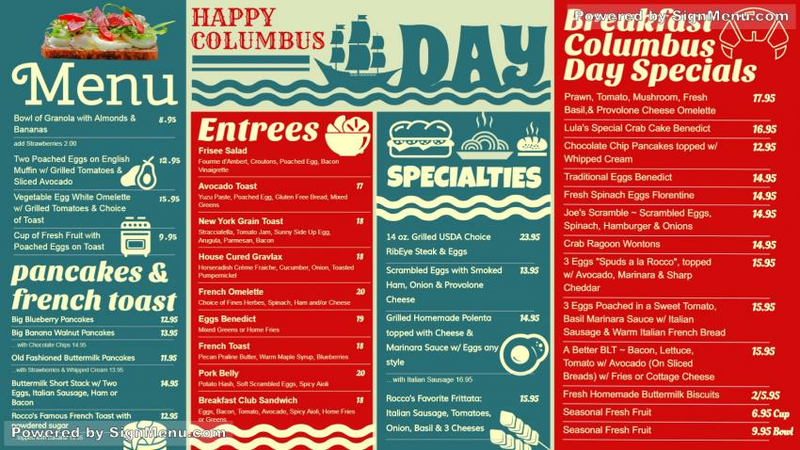 A very chic and sophisticated Columbus Day menu board. The blue and red dark colors are perfectly matched. The design is exquisite with two big, and two small rectangles covering the entire menu listings. On a digital platform this menu board will illuminate the entire city and the restaurant will gain many new customers while retaining the regulars.